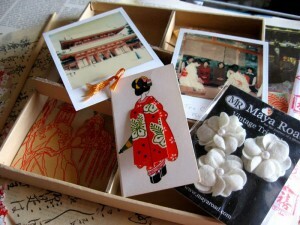 Happy New Year, it is fun to share gifts of the season. This week I am sharing tutorials using my favorite products. 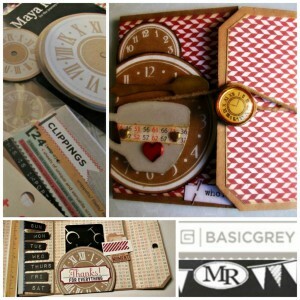 Some my most popular workshops are about turning a gift certificate into a present. This year we used tags as a base to build cards, adding little pockets for the gift cards and personalized with special messages that say more about what they mean to you. Start by covering the outside with the red side of the Quilt paper. The Scrapbook Adhesives brands of tape runners provide a good solid stick to hold your paper to the tag. Score or fold the tag at 2 1/2” from the square end and 2” from the tag end. On the inside use the number side of the Bow Ties paper, cut a length of paper 4” high across the numbers. You can use the tag as a guide for cutting the squares are about 2 1/4” and 3 1/4” and the tag end was 1 3/4” before the triangles were nipped off. To assemble the inside, starting from the left, cut the days of the week from the snippets pad, top with a quick coat of a clear gloss or Dimensional Magic to add the touch of a dyno tape look. Glue to the left edge and top with a ruler from the BowTies Sticker Collection. 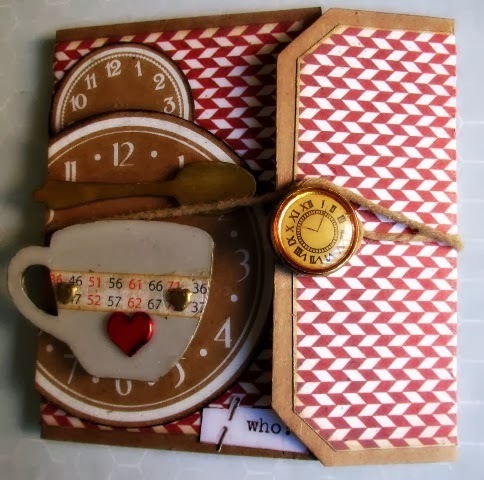 Measure up the clock against the gift card to form the pocket, cut across the bottom to create a straight edge. 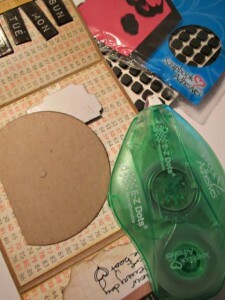 Use the Scrapbook Adhesives foam pads along the straight edge and half way up the clock edges. 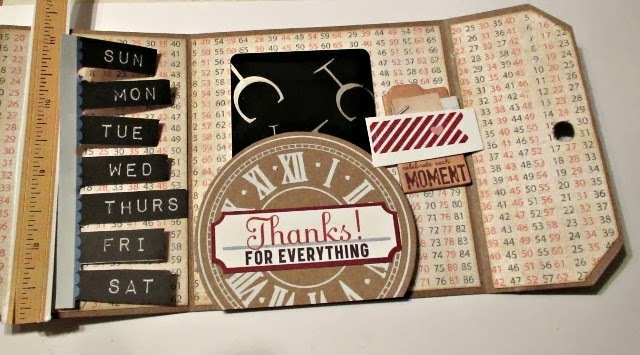 Top the clock with a Thanks sticker and moments file folder from the Clippings collection. Top with a little red flag from the Bow Ties collection. To finish the outside cover , paint the chipboard spoon and cup with Luminate Silks. 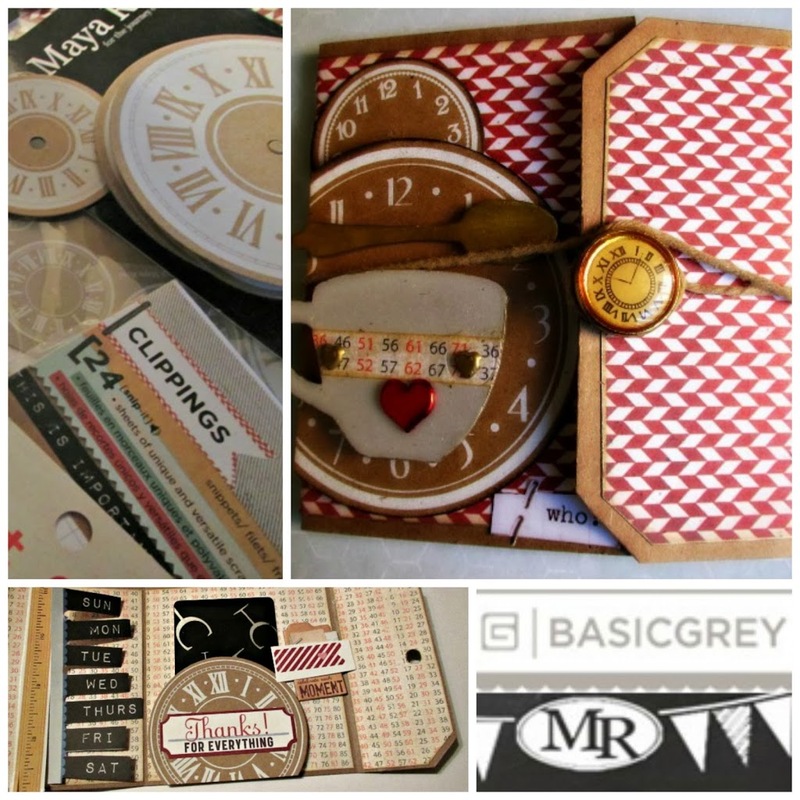 Trim a large clock to fit the left edge of the tag and a smaller clock behind that. Top with the spoon and cup. The button and tie need to be strong to hold your card closed and the reason why I rely on Scrapbook Adhesives foam pads. 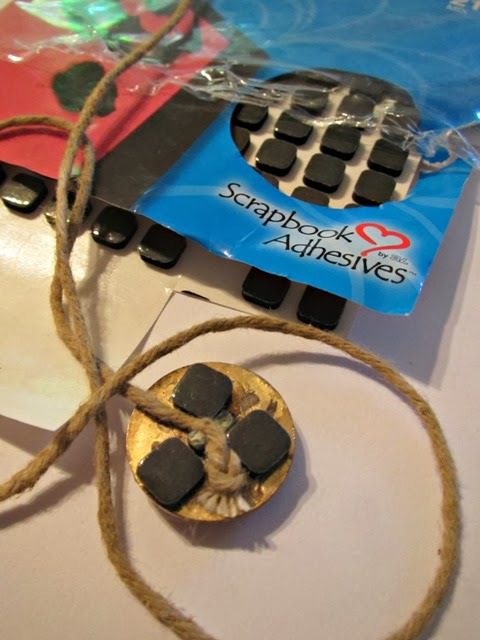 Tie a not in the twine and lock into the back of the button with foam pads that will double as your adhesive to hold the button on the front of the card. Hope you enjoyed this project and if you liked what we did with Maya Road in this one have a peek at the workshops where we use mixed media techniques in the Maya Road shadowboxes. Hey, you. I&#39;m excited to see what you put on your new blog. <br /><br />I have a few wishes for you. <br />May 2014 bring you much joy. <br />May we all have peace in our homes, <br />laughter by our firesides, <br />time spent with family, <br />and contentment in our hearts.<br />Be well, my friend. Great project! 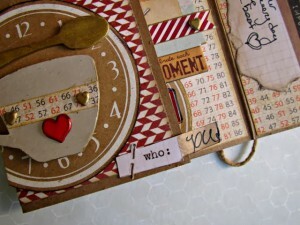 I gave a couple of gift cards this year — something like this project would be so much cuter than just an envelope!! Handmade goodies are always the best to have and share! That is SO cute…I wish I were that patient! Happy new year! Great project!I wish you a very happy and creative New Year 2014,Mandy! You are very talented! Neat craft!